Mary Barnes, the daughter of Sir Hugh Barnes and Winifred Strachey Barnes, was born in 1889. She spent her early childhood in India before being sent to boarding school in England. In 1910 she married a lawyer, St John Hutchinson. 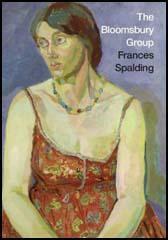 In 1911 her cousin, Lytton Strachey, introduced her to the Bloomsbury Group, a group of friends that discussed literary and artistic issues. 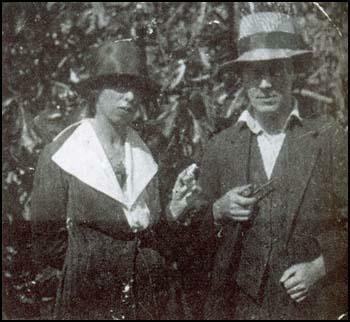 The group included Clive Bell, Vanessa Bell, Virginia Woolf, John Maynard Keynes, E. M. Forster, Leonard Woolf, E. M. Forster, David Garnett, Desmond MacCarthy, Arthur Waley and Duncan Grant. According to Hermione Lee, the author of Virginia Woolf (1996) Mary Hutchinson was "worldly, elegantly fashionable, ugly-charming, had a wonderful taste in clothes, painting and interior decoration." In 1914 she began an affair with Clive Bell, who was married to Vanessa Bell, who at that time was romantically involved with Duncan Grant. Mary was also close to Aldous Huxley and T. S. Eliot. Mary Hutchinson became friendly with Virginia Woolf. She later recalled: "I thought Virginia's great charm was that she spoke sentences that one usually only finds written. Perfect literary sentences spoken without hesitation or stumbling. One was compelled to listen even when she only called for more milk. It was strangely like being in a novel." Mary eventually fell in love with Virginia. She wrote she longed for "all that is you - in any mood you like or chance to be in - I must love - can you bear such hunger - for I believe it is really this that I feel and I pine for you sometimes." However, the evidence suggests it was a one-sided love affair. Dora Carrington wrote a letter to Mark Gertler in June 1916 explaining how she had met Hutchinson: "I have just come back from spending three days on the Lewes downs with the Clive Bells, Duncan Grant, Mrs Hutchinson and Lytton Strachey. God knows why they asked me!! It was much happier than I expected. The house was right in the middle of huge wild downs, four miles from Lewes, and surrounded by a high hill on both sides with trees. We lived in the kitchen for meals, as there weren't any servants, so I helped Vanessa Bell cook. Lytton is rather curious. I got cold, and feel rather ill today. They had rum punch in the evenings which was good. Yesterday we went a fine walk over tremendous high downs. I walked with Lytton. I like Duncan, even if you don't! What traitors all these people are! They ridicule Ottoline! even Mary Hutchinson laughs at the Cannans with them. It surprises me. I think it's beastly of them to enjoy Ottoline's kindnesses and then laugh at her." Mary Hutchinson died in 1977. I have just come back from spending three days on the Lewes downs with the Clive Bells, Duncan Grant, Mrs Hutchinson and Lytton Strachey. God knows why they asked me!! It was much happier than I expected. The house was right in the middle of huge wild downs, four miles from Lewes, and surrounded by a high hill on both sides with trees. We lived in the kitchen for meals, as there weren't any servants, so I helped Vanessa Bell cook. Lytton is rather curious. I got cold, and feel rather ill today. They had rum punch in the evenings which was good. Yesterday we went a fine walk over tremendous high downs. I walked with Lytton. I like Duncan, even if you don't! What traitors all these people are! They ridicule Ottoline! even Mary Hutchinson laughs at the Cannans with them. It surprises me. I think it's beastly of them to enjoy Ottoline's kindnesses and then laugh at her.